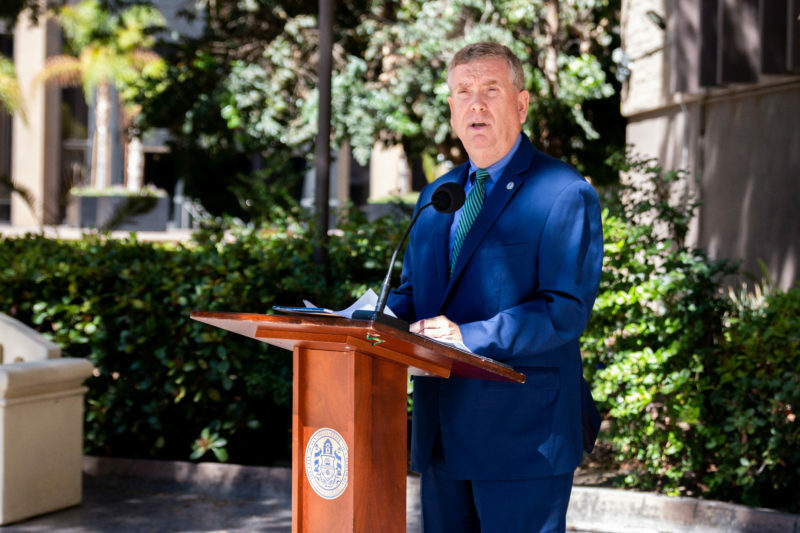 The head of the city of San Diego’s water department is stepping down and Mayor Kevin Faulconer has ordered a shakeup of the troubled department. Vic Bianes ran the department for less than a year as an embarrassing series of problems became public. Some problems happened on his watch, and others predated it. In the months before Bianes took over last fall from former department director Halla Razak, customers had begun to complain about improbably high water bills. Instead of attempting to get to the bottom of the issues, the department denied fault, resisted oversight and downplayed problems. That turned out to be a mistake. Increased scrutiny only made things worse for the department, its leaders and even rank-and-file employees who are now under the microscope for sloppy work. In February, the department admitted an employee had screwed up hundreds of water bills by falsifying meter readings. In July, auditors found that the department sent out at least 2,750 incorrect bills last year. Auditors blamed employees for misreading water meters. That may have been new information, but the department had reason to be looking out for problems – two of those employees were cited in an audit 15 years ago that found employees were falsifying overtime payments. In August, the department confessed it had somehow forgotten to bill about 2,500 customers. And, on Thursday, a day after Bianes’ retirement was announced internally, the city revealed that a small group of maintenance workers had been charging the city for eight-hour days when, in fact, they had been working half days. At a press conference Thursday, Johnnie Perkins, a deputy chief operating officer charged with helping clean up the department’s messes, said the new information was appalling. “We need to change the culture of the Public Utilities Department,” he said. While some problems clearly predate Bianes, he clearly encouraged the department’s culture of obfuscation. 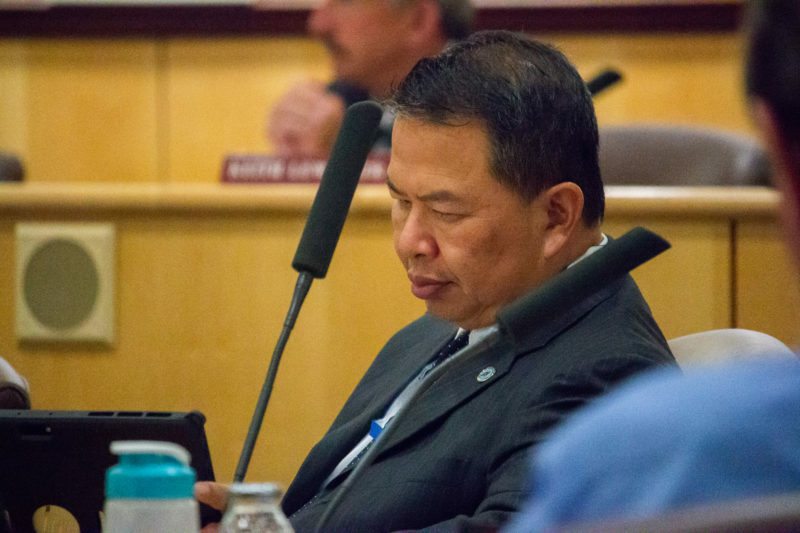 After less than a month on the job last fall, Bianes emailed staffers who were preparing a presentation for one of the water department’s oversight bodies. “No need to allow them to focus on giving us direction on how to improve,” Bianes wrote, according to emails obtained by Voice of San Diego and NBC 7 Responds through a Public Records Act request. A few months later, a senior staffer tried to wave off an audit of the department’s $60 million “smart meter” program. Months later, the department admitted it has been having problems with some of those meters. To replace Bianes, the city promised to conduct a nationwide search for a new water department director. In the meantime, a cast of familiar characters will try to fix the water department, which the mayor’s office has portrayed as a rogue department that’s gone unchecked until now. Matt Vespi, the city finance department’s assistant director, will lead the water department while that national search is underway. Stacey LoMedico, the city’s assistant chief operating officer, is tasked with identifying “further systemic issues” inside the department. And Frank Belock, a veteran of the city’s various public works programs who led the water department briefly in the mid-2000s, is going to look for deficiencies inside the department and recommend improvements to ensure public accountability. When Belock was department director, the state fined the city $25,000 for waiting too long to tell water quality regulators about the potential that bacteria was in the drinking water supply, the Union-Tribune reported at the time. The department said an error in testing created a false positive and the public was never in danger. City spokeswoman Katie Keach said Belock, who has over 30 years experience managing utilities and overseeing employees, is the right person to handle the problems currently facing the department. “He knows of things that have worked well, things that haven’t worked well, and how to correct course,” she said in an email to VOSD. In 2007, after Belock turned the department over to another leader, a Union-Tribune analysis showed that the water department had incorrectly billed the bulk of the city’s water customers. The department, then under the leadership of Jim Barrett, said most residents seem unbothered by the issue, because the city would then give customers credit for the overcharges. Barrett, who was known for a thorough understanding of policy issues but also a prickly personality, eventually left to lead the Coachella Valley Water District in Riverside County. Before he did, he and his top deputy, Alex Ruiz, were criticized for misrepresenting the city’s intentions to overhaul its rate structure. After Ruiz served as interim director, Roger Bailey took over the department. During his tenure the city launched a program to replace 280,000 traditional water meters with “smart” meters, which are supposed to improve meter accuracy, provide real-time data on water use and eliminate the need for human meter readers. Clear answers to questions about the efficacy of that program is something the current leaders of the department have been unable or unwilling to provide. Bailey eventually left to lead a water agency in the Bay Area. In a recent interview, Bailey also suggested that the recent death of a city staffer known for trying to catch billing errors may have been why hundreds of errors are going unnoticed. Razak, his replacement, spent a lot of time trying to launch a project to make reused wastewater drinkable and widespread within a matter of years. Eventually, officials expect a third of the city’s water to come from purified sewage. While officials worked on that ambitious effort, the department apparently continued to fumble with more basic functions, like sending out accurate bills and providing clear information to the public. Beginning last summer, a number of customers began contacting local media organizations with what seemed to be unjustifiably high bills. NBC, for instance, first asked the department about the problems in mid-summer 2017. That was before Bianes replaced Razak. After she left to lead a water agency in San Bernardino County, the extent of the problems came into focus. And despite months of obfuscation and foot-dragging, the department’s problems eventually became public and that led to more questions, followed by more obfuscation, followed by more problems. Eventually, the axe fell on Bianes. Update: This story has been updated to include a statement from a city spokeswoman that was sent after it was initially published.